The Regional Director for West and Central Africa of the United Nations Population Fund (UNFPA), Mr. Mabingue Ngom, conducts a working visit to Cameroon from 25 to 28 March 2019. The visit is organized in the framework of UNFPA regional activities planning meeting, which is being held in Yaoundé. To this end, Mr. Mabingue Ngom will be joined by 23 UNFPA Country Representatives in West and Central Africa as well as technical and financial partners. During his stay, the Regional Director of UNFPA will be received in audience by high level dignitaries of the State of Cameroon. 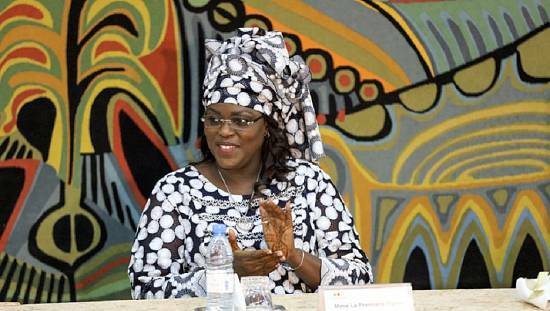 Two working sessions will be held to strengthen the strategic lines of partnership between Cameroon and UNFPA. These meetings will involve the Ministry of External Relations and other Ministries, namely those dealing with sectors such as the economy, health, youth and women empowerment. The agenda would mainly focus on issues relating to the harnessing of the Demographic Dividend, the empowerment of young people and women, based on a practical experience taken from the SWEDD Project (https://wcaro.unfpa.org/en/node/33761). On March 26, 2019, the delegation will visit humanitarian activities in the Far North Region, in the presence of the Ministers of Public Health and Youth and Civic Education as well as the Resident Coordinator of the United Nations System in Cameroon. It will meet with beneficiaries and local partners and discuss on issues relating to population and development in a context of violent crisis, specifically on youth and women resilience. This humanitarian field visit reinforces the call made by the 2019 Humanitarian Response Plan for Cameroon, launched on 20 February 2019 by the United Nations in partnership with the Government. With emergency needs estimated at $ 299 million, this plan aims to help 2.3 million people considered to be in urgent need in 8 of the 10 regions in Cameroon. Major themes of cooperation between Cameroon and UNFPA include the fight against maternal mortality, gender-based violence; advocacy for significant investment in the youth to harness the Demographic Dividend and the production of data on population for a better planning and monitoring of development policy. (https://cameroon.unfpa.org/ ).